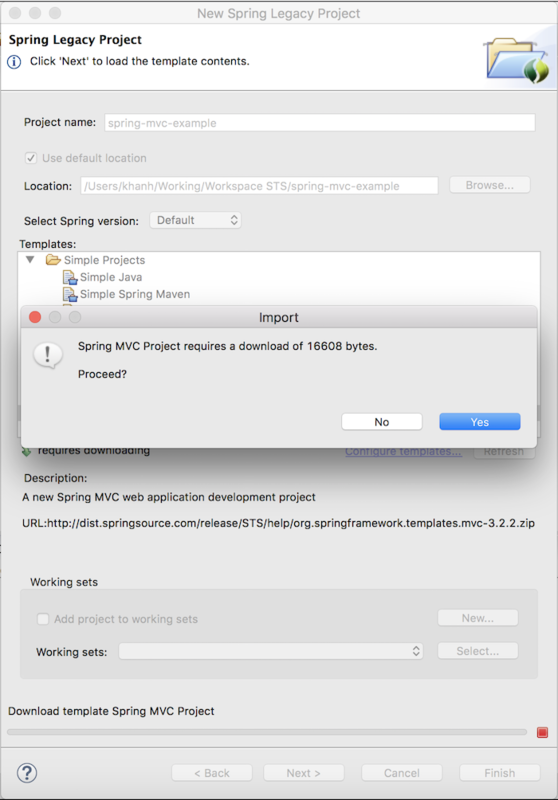 In this tutorial, I will show you the basic steps to create a Spring web application by using Spring Legacy Project in Spring Tool Suite IDE. This is the basic steps which I usually did, you can apply it as a reference. First of all, let start your Spring Tool Suite IDE. I am using Spring Tool Suite IDE version 3.9.0.RELEASE. Now, let press Next button. After downloading, Spring Tool Suite will appear new window. In this new window, let enter the package name for your project. 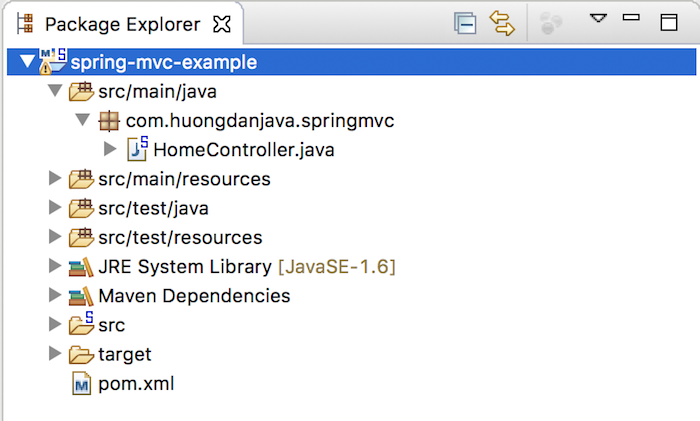 Example, I enter com.huongdanjava.springmvc. After that, let press Finish button to Spring Tool Suite create new project for us.